The 2019 Mercedes-Benz CLA and 2019 Mercedes-Benz CLS are both 4-door luxury coupes, so how do Beckley car shoppers decide? Get help answering that question as we pair the CLA vs. CLS and see what each has to offer drivers in Bridgeport. If overall budget is a concern, this one sticking point could be a deal breaker. HD Radio® receiver: Get clear audio and a variety of stations without a subscription. While the pricier CLS does come with more standard features like the FrontBass System and heated front seats, even the CLA delivers luxuries like the 14-way power front seats with memory, dual-zone automatic climate control, and a central controller and 8-inch color display. Active Brake Assist: This feature uses radar technology to monitor your vehicle and can alert drivers or assist in braking if an impending collision is detected. ATTENTION ASSIST®: This system monitors over 70 parameters to detect driver drowsiness and provides both visual and audible warnings. Adaptive Braking Technology: Includes a suite of features like Predictive Brake Priming, Automatic Brake Drying, Hill-Start Assist, and a HOLD feature for long red lights. CLS drivers will find additional features like PRESAFE® and Crosswind Assist, but both coupes offer features that will let you navigate Bridgeport streets confidently. The CLA is the perfect coupe for drivers looking for a luxe vehicle with abundant features and a price that is attainable. If you have more disposable income, then the CLS does include additional amenities for your enjoyment. Still not sure? 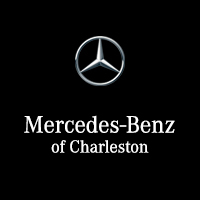 The Mercedes-Benz of Charleston online payment calculator can help you decide which will work for you!